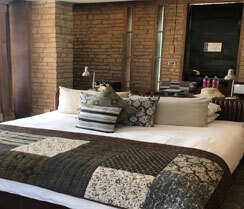 Unplug yourself and have a laid back vacation time at Pashan Garh. 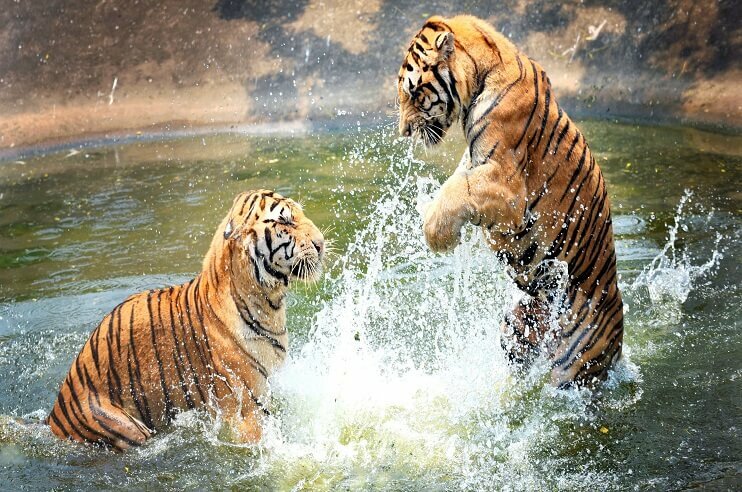 A renowned Taj property in Panna National Park owned by the Tata Group, Pashan Garh is a stone fortress ideal for a lavishing stay for those want home-like accommodation in Panna. 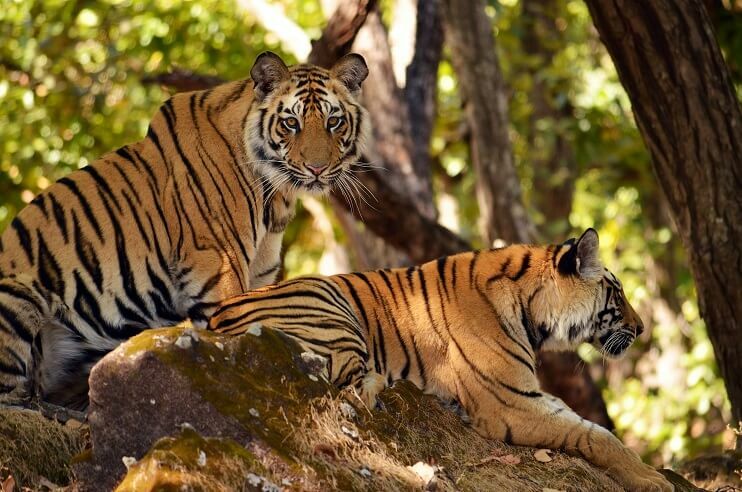 Sits in a massive area of 200 acres of land, this private luxurious property in Panna National Park is tucked away at a strategic location that offers the majestic views of Vindhya Hills. 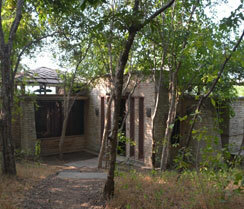 Built in a local Panna style with dry-packed stones, the Pashan Garh offers a unique experience to their guests. 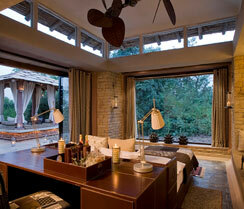 This lavishing property lies at a distance of some 40 km from the entrance gate of Panna National Park. 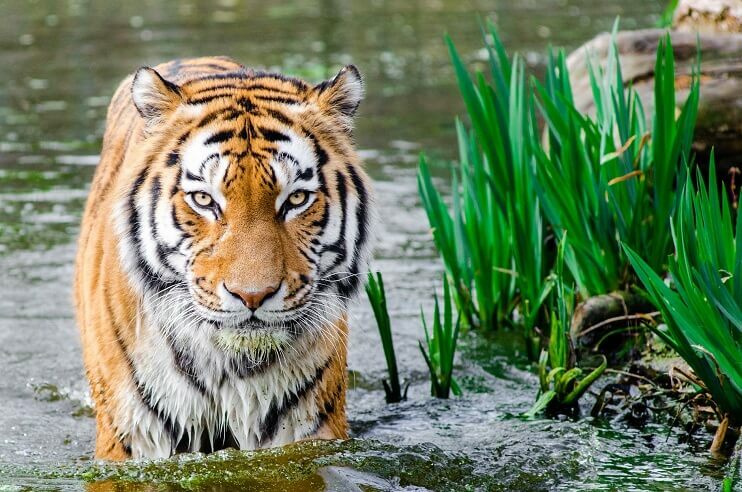 Being one of the most popular luxury resorts in Panna National Park, Pashan Garh allows tourists to get connected with nature through their strategic location which proffers the beautiful views of the surrounding. Not just this, this magnificently built resort also spoils the guests with their warm hospitality and incredible services in all sections, whether accommodation, comfort, dining, and safety. 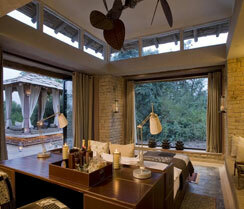 A stay at Pashan Garh is one of the greatest experiences that one could ever wish to relish amidst wildlife. 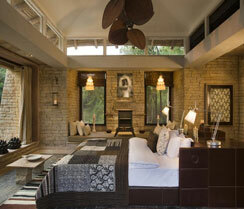 Pashan Garh Lodge has 12 luxury cottages completely built of stone. These cottages are adorned with the modern comfort facilities including the ultra-chic bathroom with hot and cold running water, fully air-conditioned and elegant interior. 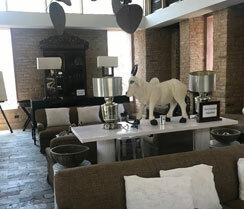 Besides, there is also a guest area which includes an ultra-comfortable sitting room which also includes a shaded deck. The enticing view of wilderness from the guest area is something that one can’t afford to miss out. All the cottages at Pashan Garh are well-supported by 24-hour power backup which ensures the continuous comfort of their guests. Being a part of a popular hotel group, Pashan Garh offers a unique and private dining option which operates 24 hours. They have various dining experiences for their clients, palanquin dining is one of them. A bush dinner is served in a palanquin on an ox cart, the experience of which is surreal in itself. The lodge also includes a haandi dinner which is served in a traditional earthen pot. 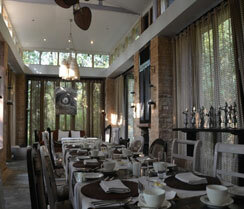 However, the most famous as well the exotic dining experience in Pashan Garh is a fresco lunch by the pool. One can also opt for an in-room dining service which is carefully delivered using butler hatches. Apart from the ravishing dining and a comfortable staying experience, the Pashan lodge also proffers various other facilities and amenities that are equally enthralling. 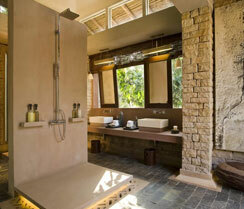 Of all those, Jiva – a spa centre is one prominent attraction of Pashan Garh lodge. Besides, 24-hour on-call doctor, swimming pool, and gym are some more highlights of this beautiful property. Along with that, at the resort, you also get complimentary Wi-Fi in public areas. Pickup and drop services, safe deposits, laundry, and private butlers services are also available for their guests.